Funko has blended the pixel art style with their classic Pop! Vinyl silhouette to bring fans a line of 8-Bit Pop! Vinyl Figures! You favorite horror legend is joining the collection. 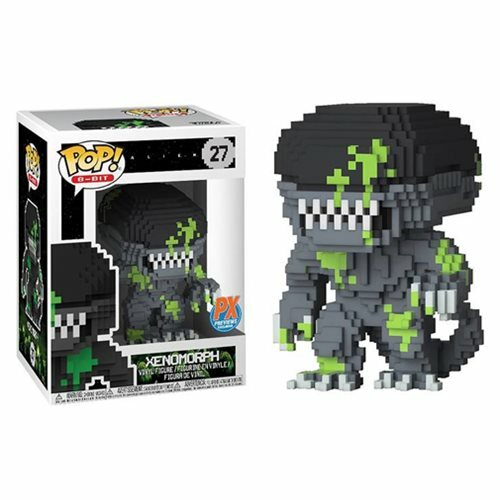 This Alien Xenomorph Blood Splattered 8-Bit Pop! Vinyl Figure - Previews Exclusive #27 measures approximately 3 3/4-inches tall and comes packaged in a window display box. Ages 3 and up.